The spread of viruses and infection is a common health concern shared by parents but none of them can make parents cringe more than a head lice infestation. For most people the idea of parasites living in your head is enough to make your skin crawl. That and the fact that it can quickly spread to other members of the family is reason enough to worry about your child having head lice. But have no fear as Kwell Permethrin Shampoo offers a solution for your lice problems. Aspen Philippines, a subsidiary of Aspen Pharmacare Holdings Limited, Africa’s largest pharmaceutical manufacturer and the biggest listed pharmaceutical group in the healthcare sector of the Johannesburg Stock Exchange, held a blogger’s session last May 9, 2018 and I was one of the attendees. The event is part of their “Kwella sa Es-kwella at Komunidad” Campaign to promote proper hair hygiene in schools and community. There was a very interesting discussion of myths and treatments for head lice as well as the overall impact of head lice in a child’s life. Head lice or Pediculosis is a common ailment that most people experience at least once in their life. It may seem like a trivial health concern but it has a big impact on a child’s life. The common belief that having head lice is a result of poor hygiene can affect the child’s esteem. In some cases, it may even lead to bullying when kids get teased about their condition. As such, it is important for parents to differentiate the myths and the truths about head lice to help their kids deal with it. Myth #1, kids get head lice because they don’t take a bath. While hygiene may be a factor in getting pediculosis, it is not the primary culprit. Head lice can be transferred from one person to another by sharing the use of personal items like hair brush or pillow. Myth #2, head Lice can jump or fly. They can’t. Head lice can crawl really fast but they don’t have wings or the ability to jump. 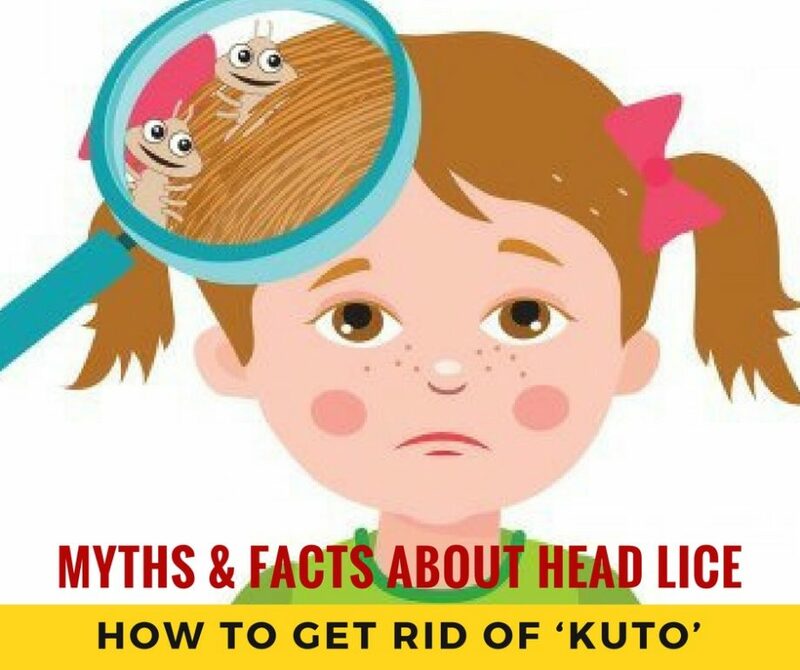 Myth #3, having head lice makes a person dumb. Head lice may affect the school performance of some kids but they certainly don’t make you dumb. Head lice often feed at night thereby causing sleep disturbance. As a result, kids tend to be irritable and out of focus when in school. Myth #4, applying gas or kerosene on the hair can remove head lice. This poses several health risks that are even worse than having head lice. Gas and kerosene are hazardous chemicals that shouldn’t even be applied to your skin. It is also highly combustible and too dangerous to be left on your child’s hair. 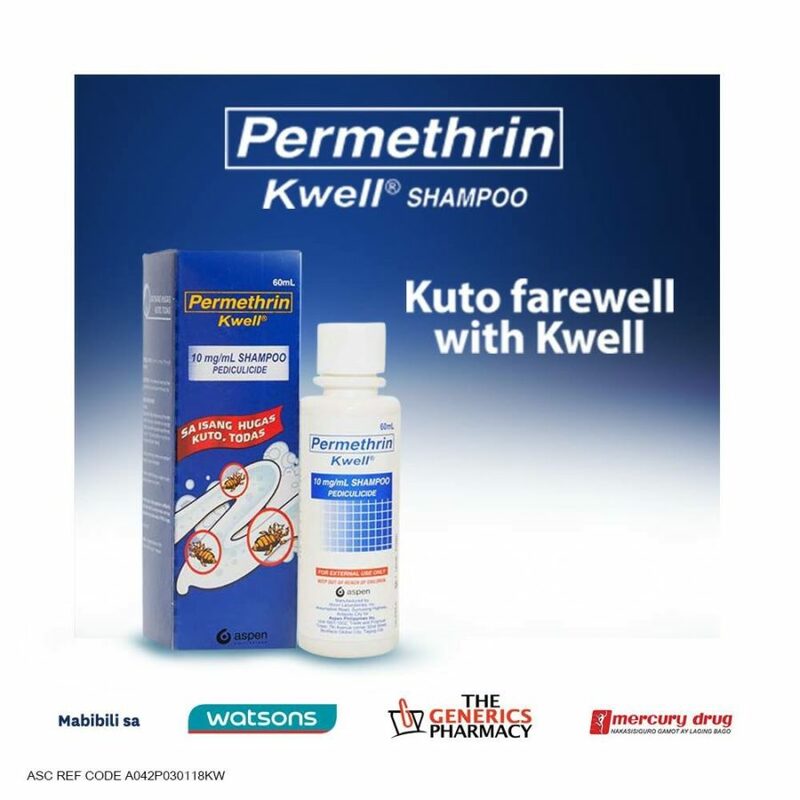 Your best option for handling lice or Pediculosis is Permethrin (Kwell) Shampoo. Myth #5, head lice causes skin infection. The lice per se don’t cause infection but scratching the scalp can lead to irritation and infection. You can quell your head lice fears by debunking myths and old wives tales about this condition. There are medically proven solutions like Permetrin (Kwell) Shampoo that can efficiently treat Pediculosis. Kwell Shampoo can get rid of lice in just seven days. Simply follow washing instructions then remove dead lice and nitz using a fine tooth comb. Shake the bottle/open the sachet. Place an ample amount of Permethrin (Kwell) shampoo and lather it in the hair thoroughly. Make sure that all parts of the head, hair and scalp and even the back of the ears and neck are treated. Leave for 10 minutes and wash thoroughly after. Dry the hair by using a towel. If other members of the family have lice, treat them as well with Permetrhin (Kwell) to avoid the spread of lice. Given that lice can also crawl into pillows, beddings, etc. it is advisable to wash everything during the treatment. Boil hair brushes, clips, and tie to make sure that any remnants of lice or nitz are eliminated. In the end, it’s still proper hygiene and cleanliness that will protect your family from head lice infestation.